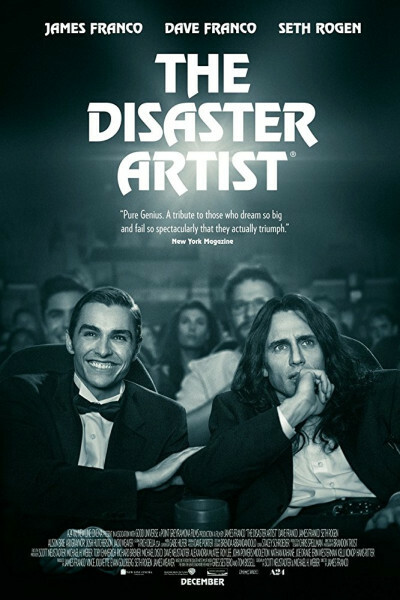 It's not a particularly enjoyable movie, primarily because it lacks any soundtrack whatsoever, and Dave Franco annoys me to no end, but it's a lovely, beautiful, earnest movie...succeeding triumphantly at capturing the effortfulness of art, and honoring the pursuit to create it, regardless the world's judgment. I was delighted it was not full of f-bombs, because I had begun to wonder whether Seth Rogen and James Franco knew any other words. And so, for earnestness and clean language, I give it two thumbs up.